I wonder what time Mike will be arriving? Guess who I met at the basketball game? “Wonder” and “Guess” sentences are almost always punctuated (incorrectly) as if they were questions. In fact, they are declarative sentences. In the first sentence, you are not sure what time Mike will arrive. You have a question in your mind: Will he be here at three o’clock? Four o’clock? You just don’t know. But your sentence is not a question. You are merely stating the fact that you’re unsure when to expect Mike. 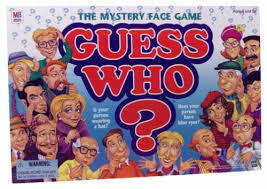 In the second sentence, you are asking someone to guess whom you met at the game. That person doesn’t know. 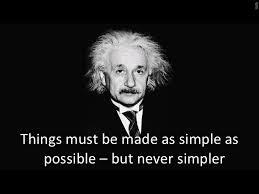 But you know and, in fact, you are ordering the other person to do something: to guess who the mystery person is. The sentence is a command, not a question. I suggest that when you write a “wonder” or “guess” sentence, check specifically to make sure you’ve used the correct end punctuation. Patrick La Forge of the New York Times has written about clichés frequently found in spoken or written news reports. I’ve seen many of these sneak into business writing. Try to avoid them; find a fresh way to make your point. Plans are often “afoot.” Sounds silly, doesn’t it? Are you wasting time? You are likely “frittering away” the hours. 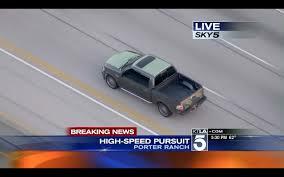 And finally, car chases are invariably “high speed,” (except for the one back in the mid-1990s when OJ Simpson made his leisurely way down the San Diego Freeway in Los Angeles; now that was news). Do any of these confuse you? I hope this list will help. PORE (v.)—to read or study carefully, to be absorbed in an activity: Benjamin, an avid golfer, pored over every golf magazine and article he could find. POUR—what you do with a liquid and/or your feelings: Stephen poured a full glass of Burgundy and then poured out his feelings to his girlfriend. 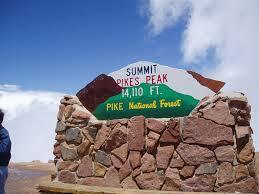 PEAK—the pointed summit of a mountain; the point of highest activity; the pointed part of a shape, such as the peaks in beaten egg whites: In the baking competition at the top of Pike’s Peak, Sandra found herself in a peak of frenzy while beating 10 egg whites into stiff peaks for her famous French macarons. PEEK—to look quickly or sneakily: Sandra’s competitors sneaked peeks at her while she whipped those egg whites. PIQUE—to stimulate curiosity or interest: Sandra’s baking expertise piqued intense interest in all her competitors. ISLE—an island. Robinson Crusoe lived on an isle; England, Scotland, Wales and Ireland are called the British Isles. Remember, all these are words; your spellchecker won’t know if you’ve used the wrong one by accident. It’s up to you to proofread carefully. All from Just My Typo, compiled by Drummond Moir. ONE CAN ARGUE THAT THE PRESIDENT IS USING THE SEPTEMBER 11 ATTACKS TO BOOST HIS PUBIC PROFILE. OLDER ADULTS: You’re sick. If you feel cold, put on a sweater, crap yourself in a blanket or turn up the heat, recommend the physicians. GERMANS ARE SO SMALL THAT THERE MAY BE AS MANY AS ONE BILLION, SEVEN HUNDRED MILLION OF THEM IN A DROP OF WATER. On April 22, 2003 a closed caption informed viewers that Alan Greenspan, Federal Reserve Chairman, was “in the hospital for an enlarged prostitute.” Later that night viewers were advised that Mr. Greenspan was having prostate problems.